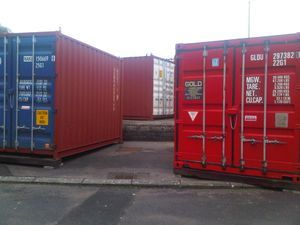 Shipping containers and property purchased - any condition, collected. 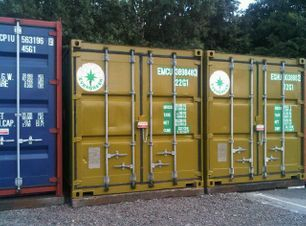 Did you know, we BUY & SELL shipping containers ? Storage Carlisle can purchase units from you. Do you have one for sale? Perhaps its too old, perhaps just surplus? We offer a pick up and collection service around Carlisle and surrounding areas. Do you know anyone with a shipping container for sale? Finders fee given if you know someone with one for sale with one for sale! 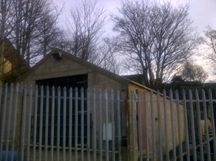 SMALL OFFICES, RETAIL SHOPS, WORKSHOPS, SMALL UNITS, YARD SPACE, PARKING. If you're in the market for any of these, please make contact with us and see how we can help you. Contact us today if you are looking for any form of smaller warehouse or builders yards ideal for, industrial / yard storage, you never know what we have available. 1. Did you know that there are currently over 15 million shipping containers or boxes actually in circulation around the planet ? The number of shipping containers used at any one time are more than five million. 2. 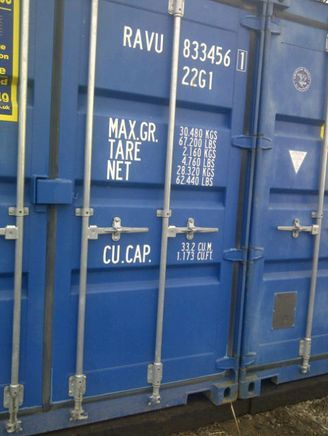 The very first shipping container which was constructed from metal was invented by Malcolm McLean in 1956. He created it to replace the old fashioned time consuming style of break-bulk container handling. 3. Nearly approximately 700 containers are declared lost on the seas every year!! 4. Over 95% of all shipping containers are manufactured in China. This is due to a number of varying factors. Briefly,wages are lower and secondly, a substantial amount of the worlds products are produced in China. 5. The liner shipping industry has reportedly spent in excess of US$235 billion in more than a dozen countries on the purchase of new vessels that can carry increasingly astonishing amounts of containers. 6. Shipping containers are VERY strong, mainly constructed from high grade steel, and a 20 foot container can hold around 30,000 Kg. The special steel is said to slow down rusting of the steel. They can also be stacked several units high. 7. If shipping containers are well maintained, they can last around 20+ years. 8. Did you know 95% of the world’s cargo is transported by ship. It still makes economic sense to transport goods in high volume ships than other ways. 9. The Port of Shanghai is reportedly the busiest port in the world which handles in excess of more than 30 million containers in 2013. 10. 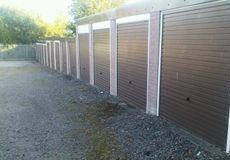 Storing you goods in one from Storage Carlisle costs from £65 per month !! Call them today on 07739 103165. Not sure how much space you need to store your items? The following tables gives a rough indication of approximate space you need to store your items in our self storage shipping containers. We compare this along side familiar household room dimensions. It is possible to store the contents of an average two or three bedroom flat or house in a 20 foot ISO container. Remember - A 20 foot ISO container will house an average 2 - 3 bedroom house if the contents are correctly well packed into the container.